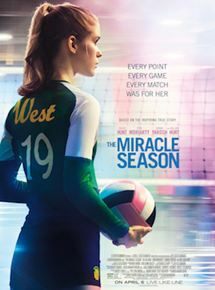 New on Blu-ray, DVD and Digital Copy for July 31, 2018 "Miracle Season," "Tully" and "Overboard"
When Marlo gives birth to her third baby, her brother contracts the services of a nanny, named Tully, on Marlo's behalf. At first Marlo thinks of having a nanny as an unnecessary indulgence, but as the two women get to know each other better, they begin to form an unexpected bond, although their relationship is not always such smooth sailing. "Tully" is a dark comedy about a woman at her wit's end and beginning a downward roll into deep depression. Her only saving grace is the young and free-thinking nanny hired to help with the load as she battles for her sanity. Her conversations and ultimately her awakening is at this film's core. This beautifully written script acted impeccably by Charlize Theron is well worth watching. The 1987 iconic comedy gets a facelift as Anna Farris stars as a young, struggling mom who gets back at an unjust employer. This new version has so many problems in it from beginning to end that I can't figure out how it got the green light. These cinematic problems include virtually no on screen chemistry between the two lead actors in the movie, the film spends too much time with long weighty dialogue and overly silly gags. 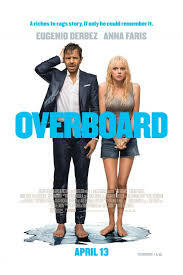 In the final reel, "Overboard" is just a very pale shadow of the original.